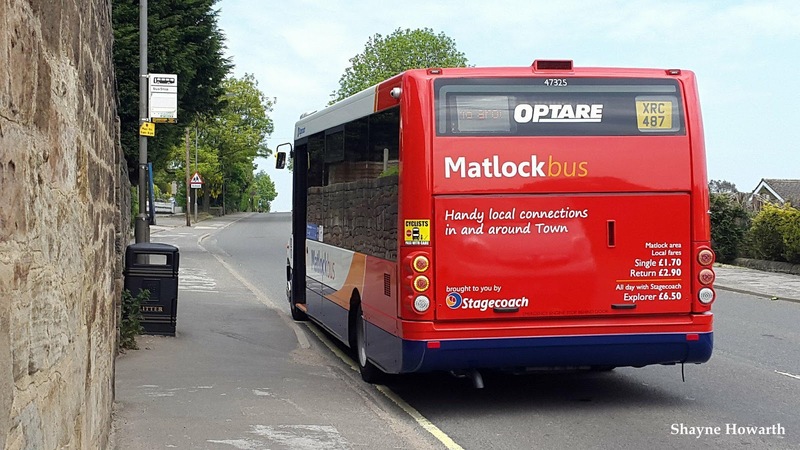 From today (Tuesday 29th May), Stagecoach has increased operations in Matlock by the mild introduction of two town routes M1 to Asker Lane and Cavendish Park and the M4 to Hurst Farm Estate. 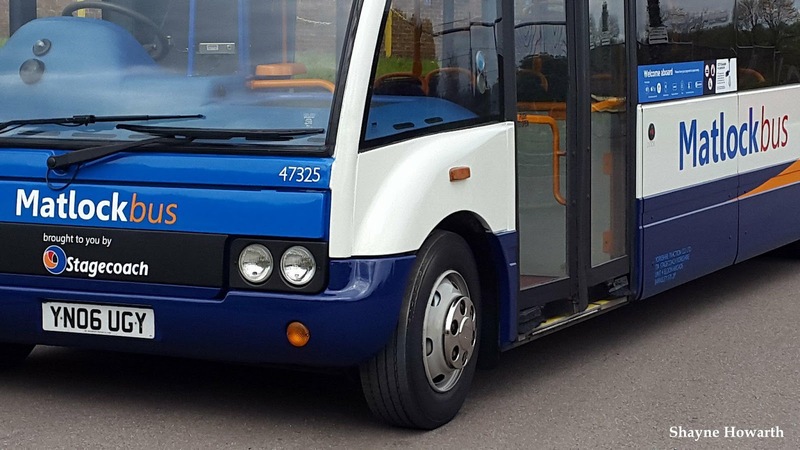 Both run during the daytime Monday-Friday on contract to the Derbyshire County Council and serve the Sainsburys superstore and bus/rail interchange. One of the Chesterfield Stonegravels existing 2006 Optare Solos has been branded as 'Matlockbus', and interworks both routes from 0845-1745 hours. It has received a select egistration. 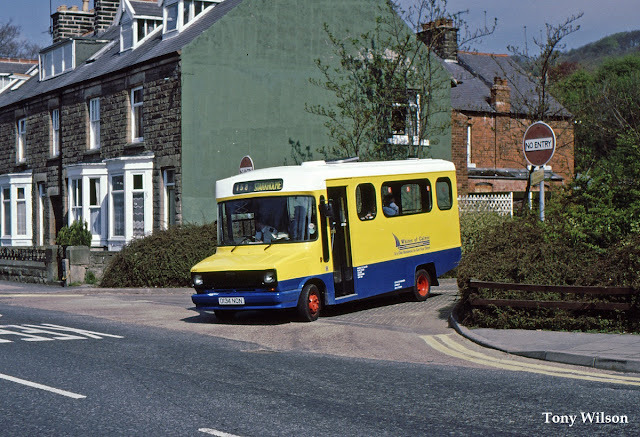 The two routes were previously operated by GJ Holmes who last ran them on the Saturday just passed. 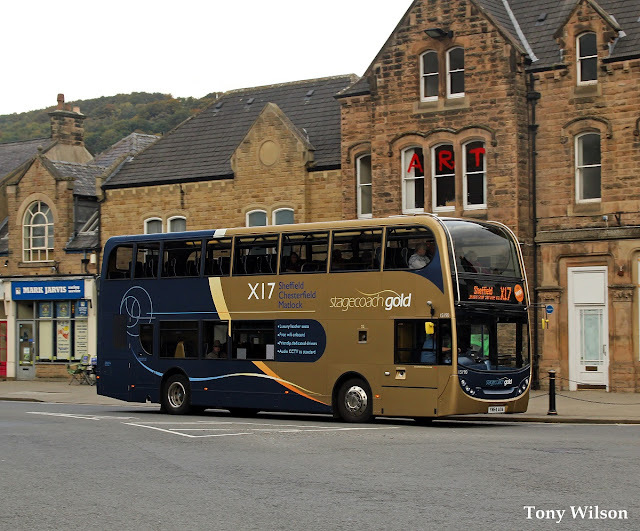 The other route currently operated to serve the town is the hourly X17 route from Sheffield and Chesterfield, again operated by the Stonegravels depot, and is run by bigger buses in the shape of a fleet of Alexander Enviro400 bodied Scania double-decks. However, this is not the first time buses from Chesterfield have run services in the town. 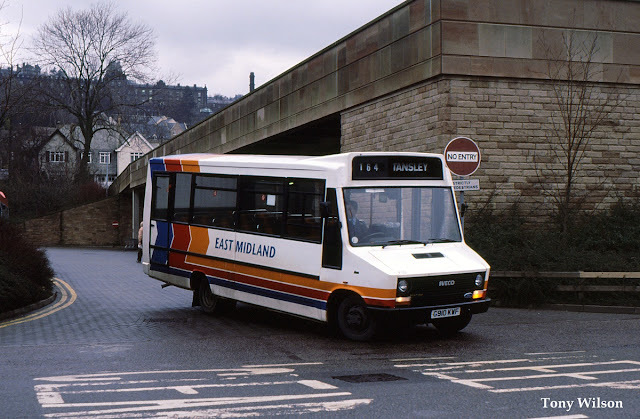 Stagecoach had taken over the East Midland Motor Services operation based at the New Street depot and utilised a number of midibuses, like the following Reeve Burgess bodied Iveco. 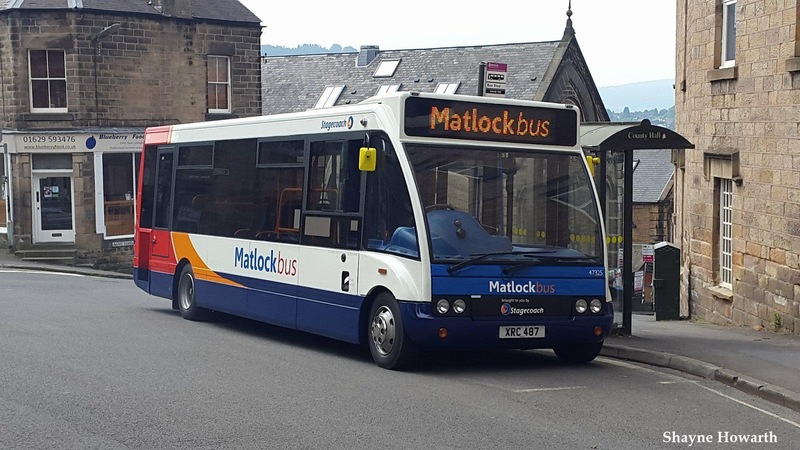 Around the same time and before Chesterfield Transport was taken over by Stagecoach, the company's subsidiary Whites of Calver ran a number of the town's services to the surrounding area. 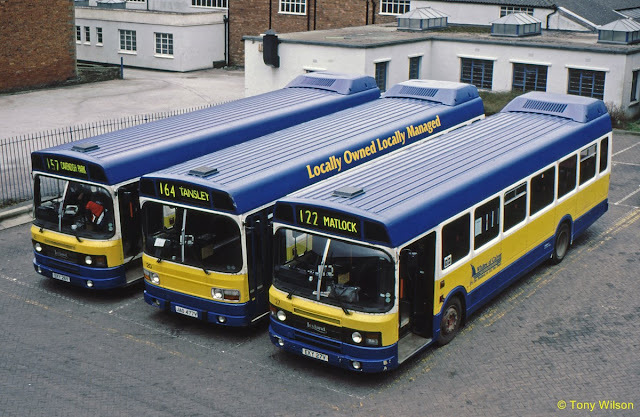 This included midibuses such as Carlyle bodied Freight Rover Sherpa and larger Leyland Nationals. Any resident or visitor to the town will no doubt have observed the expansion in progress, with a number of housing projects on various sites. This may well have an impact on future bus service development and provision.